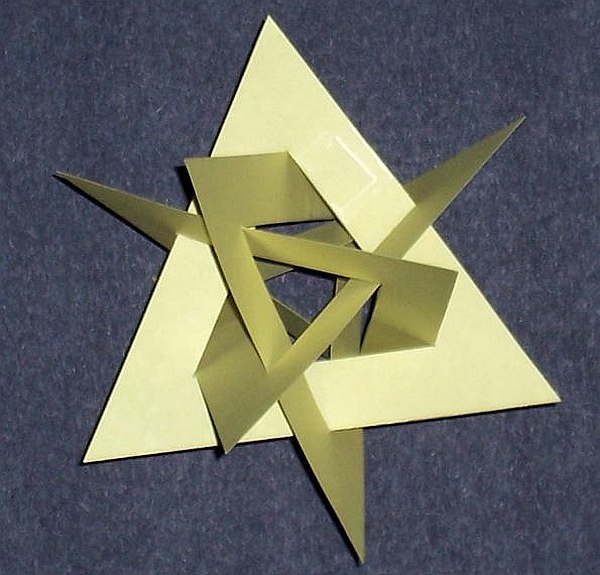 What could sound easier than to make a regular construction from four paper equilateral triangles? One possible construction is the regular tetrahedron, which is pretty easy. Here is a different construction from four equilateral triangles. 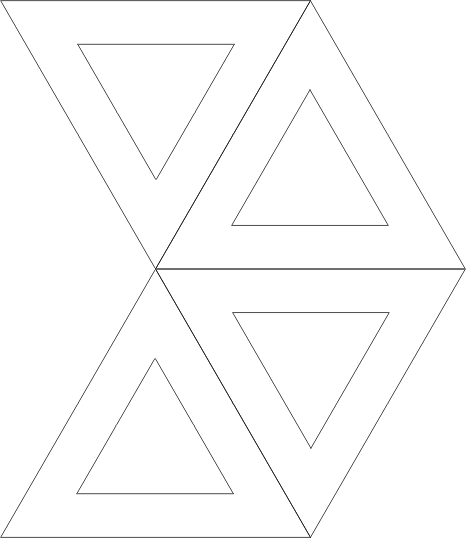 Each triangle is linked with the other three, like two links of a chain. Use this template, in which each triangle has a hole cut from it, with exactly half the edge length. You’ll need to cut through three of them to link them together. After you assemble them properly, you can tape the cut back together. 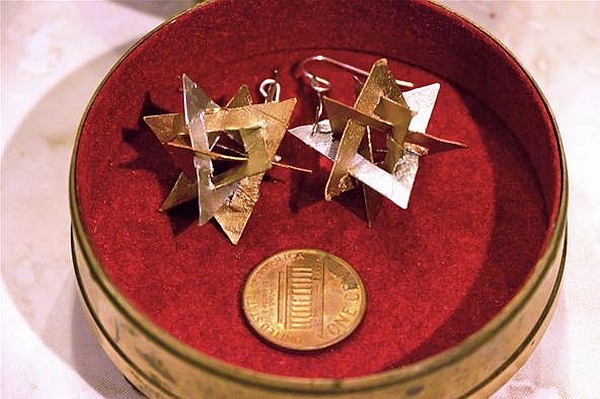 Cory Poole took this idea and miniaturized it, making a lovely pair of geometric earrings from paper painted with metallic paint. Instructions for assembling the triangles are available here, along with other polygon assembly challenges. This article first appeared on Make: Online, November 28, 2011.